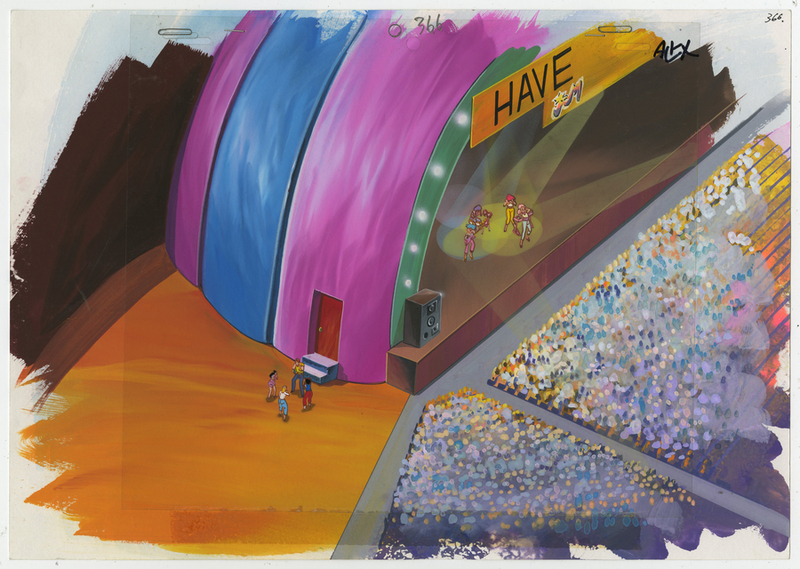 This is an original production cel and background set-up from the Marvel/Sunbow Studios production of JEM and the Holograms (1985-1988). This key matching set-up features JEM and the Holograms on stage with the runaway kids watching from the side of teh stage. 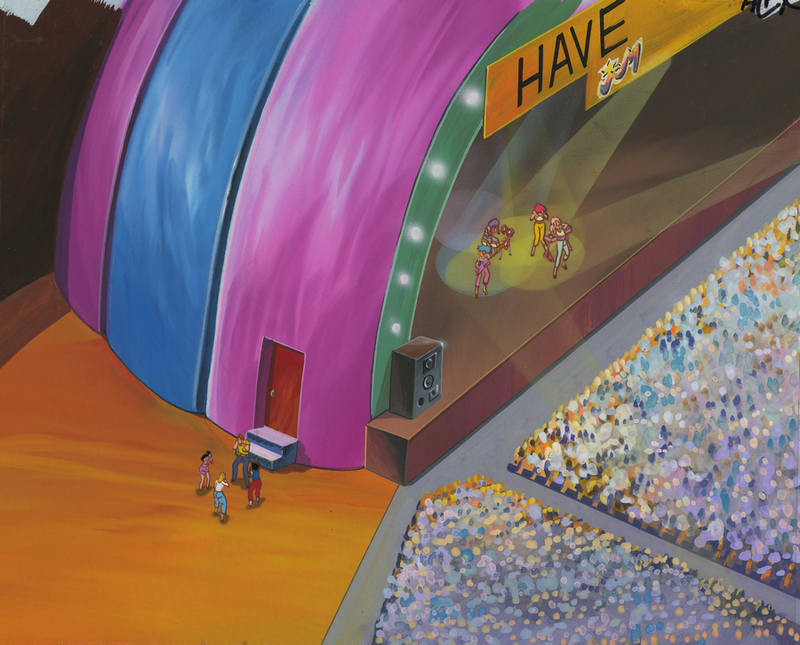 This cel and background were created at the studio and used during the production of the first season episode, The Music Awards: Part 2. The overall measurements of the piece are 10" x 14.25" and the image itself measures 8" x 10". The set-up is in good condition, the cel si stuck to the background but the registration looks appropriate.